Known for over-the-top antics and frat-boy rap sensibilities, 3OH!3 climbed the charts worldwide with some raucous party hits. Sean Foreman and Nathaniel Motte both grew up in Boulder (with the area code 303) and met in a physics class while attending the University of Colorado. Both were heavily into the underground hip-hop scene. 3OH!3 made its recording debut in 2007 with a self-titled, independently released album. It got the attention of Photo Finish Records, and the label released the band’s second album, Want (2008). “Don’t Trust Me” became 3OH!3’s breakout hit—the electro-rap single sold over three million digital copies in the U.S. and reached #7 on the Billboard Hot 100. “Don’t Trust Me” was controversial, as some argued that the lyrics—“Shush girl, shut your lips/Do the Helen Keller and talk with your hips”—were misogynistic. Both Motte and Foreman had graduated with honors from the University of Colorado. After playing in Denver during the 2008 Warped Tour and whipping the crowd into a frenzy, the wacky Colorado rap duo was signed on for the tour’s remaining stops. Their outrageous live performances propelled the joke-hop jesters to national fame. 3OH!3 provided additional vocals on Ke$ha’s raunchy Top 10 hit “Blah Blah Blah.” “Follow Me Down” (with Neon Hitch) was written for the compilation album for the film Alice in Wonderland. 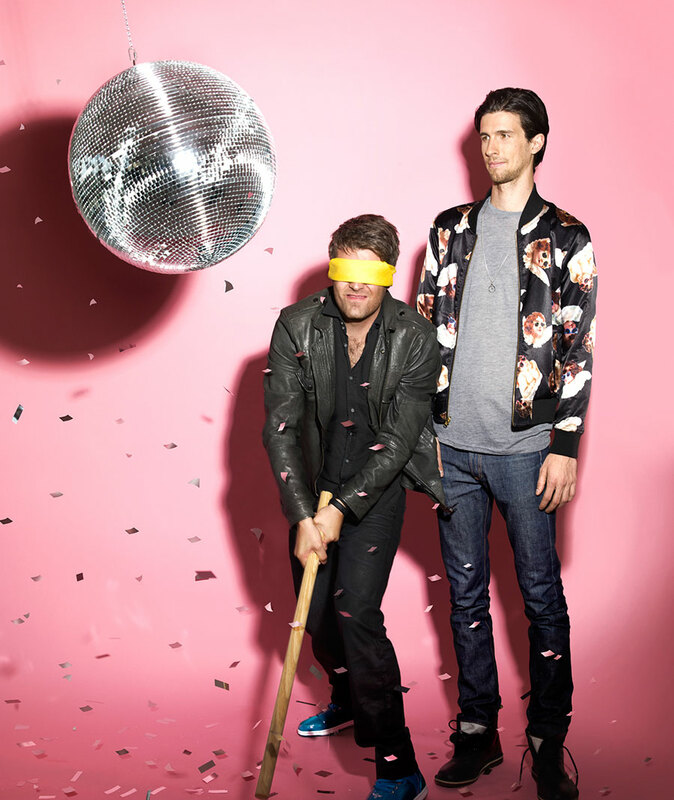 3OH!3’s third studio album, Streets of Gold, was out in 2010; the duo issued a video for the song “House Party,” and Ke$ha was featured on the song “My First Kiss.” The 2013 album Omens reached #81 on the Billboard 200. Foreman and Motte laid low after its release.